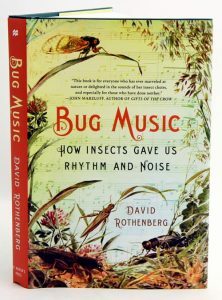 This book continues Rothenberg’s research and writing on the relationship between human and animal music, and it follows him as he explores the exotic insect markets in Shanghai, plays his saxophone with crickets and other insects, and confers with researchers and scientists nationwide. Artist/Author: Carde, Ring T. and Vincent H. Resh. As we follow the path of a giant water bug or peer over the wing of a gypsy moth, we glimpse our world anew, at once shrunk and magnified. Owing to their size alone, insects’ experience of the world is radically different from ours. Air to them is as viscous as water to us. The predicament of size, along with the dizzying diversity of insects and their status as arguably the most successful organisms on earth, have inspired passion and eloquence in some of the world’s most innovative scientists. 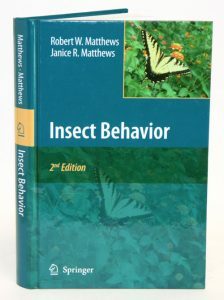 This text showcases classic works on insect behavior, physiology, and ecology published over half a century by Harvard University Press. 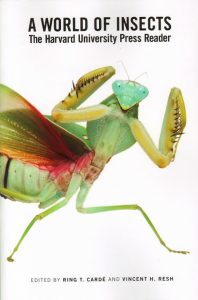 James Costa, Vincent Dethier, Thomas Eisner, Lee Goff, Bernd Heinrich, Bert Holldobler, Kenneth Roeder, Andrew Ross, Thomas Seeley, Karl von Frisch, Gilbert Waldbauer, E. O. Wilson, and Mark Winston – each writer, in his unique voice, paints a close-up portrait of the ways insects explore their environment, outmaneuver their enemies, mate, and care for kin. Selected by two world-class entomologists, these essays offer compelling descriptions of insect cooperation and warfare, the search for ancient insect DNA in amber, and the energy economics of hot-blooded insects. They also discuss the impact – for good and ill – of insects on our food supply, their role in crime scene investigation, and the popular fascination with pheromones, killer bees, and fire ants. Each entry begins with commentary on the authors, their topics, and the latest research in the field. Insects are capable of incredibly complex behaviour, even with brains often the size of a poppy seed. How do they accomplish feats that look like human activity – personality, language, and childcare – with completely different pathways from our own? What is going on inside the mind of those ants that march like boot-camp graduates across your kitchen floor? How does the lead ant know exactly where to take his colony, to that one breadcrumb that your nightly sweep missed? Can insects be taught new skills as easily as a new puppy? The nocturnal songs of insects are lures and warnings, full of risks and rewards for these tiny competitive performers. 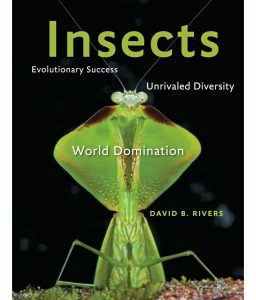 What moves crickets and katydids to sing, how they produce their distinctive sounds, how they hear the songs of others, and how they vary cadence, volume, and pitch to attract potential mates, warn off competitors, and evade predators is part of the engaging story this book tells. 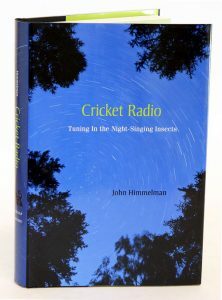 Himmelman’s narrative weaves together his personal experiences as an amateur naturalist in search of crickets and katydids with the stories of scientists who study these insects professionally. He also offers instructions for bringing a few of the little singers into our homes and gardens. We can, Himmelman suggests, be reawakened to these night songs that have meant so much to the human psyche. The online insect calls that accompany this colourfully illustrated narrative provide a bridge of sound to our past and to our vital connection with other species. Artist/Author: Matthews, Robert W and Janice R. Matthews. The second edition of the text that for thirty years served as the fundamental introduction to a field of study that has been growing enormously. Today, new technologies and understandings are allowing questions to be shaped – and answered – in ways that once could not have been envisioned. However, massive new information also can overwhelm and obscure the broader perspectives needed to put new discoveries into context. Thus, the times fairly demand that students and non-specialists seek a wider understanding of diverse proximate and ultimate forces that cause animals to behave as they do. This book provides that opportunity. The authors strike a balance between modern developments and historical insights, between new examples and old, between empirical work and theory, and between pertinent conclusions and the dynamic field and laboratory experiences from which such discoveries arise. Considerably updated and expanded, this edition includes 26 case studies, as well as 45 new colour plates and 173 figures (over 40 per cent of them new) with detailed legends that add richness to the well-written, accessible text. 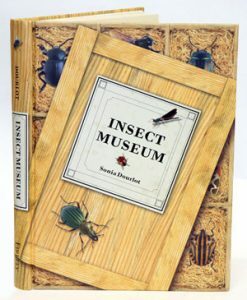 This innovative reference explores the fascinating world of insects and allows readers to discover the intricacies of these tiny animals in an original way. This book features 114 extreme close-up photographs of butterflies, dragonflies, beetles and flies, as well as spiders and centipedes, that allow readers to appreciate fully the subtle aesthetics of each insect’s form, the delicate texture of its wings and the beauty of its colours. Each colour plate is accompanied by a thorough description of the insect that includes: The origins of the common name and the significance of the scientific name Details of distribution and habitat Its natural history, with surprising details on the habits and adaptations developed by the insect to survive and reproduce A line drawing that demonstrates the insect’s actual size. There are also more than 330 additional photos that illustrate larvae, ovulation, mating, nutrition and other important aspects of the insect’s life cycle. Artist/Author: Gadau, Jurgen and Jennifer Fewell. 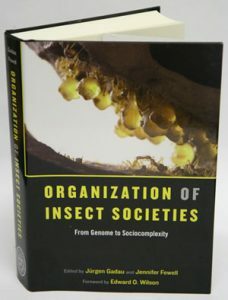 In this landmark volume, an international group of scientists has synthesized their collective expertise and insight into a newly unified vision of insect societies and what they can reveal about how sociality has arisen as an evolutionary strategy. Jurgen Gadau and Jennifer Fewell have assembled leading researchers from the fields of molecular biology, evolutionary genetics, neurophysiology, behavioural ecology, and evolutionary theory to re-examine the question of sociality in insects. Recent advances in social complexity theory and the sequencing of the honeybee genome ensure that this book will be valued by anyone working on sociality in insects. At the same time, the theoretical ideas presented will be of broad-ranging significance to those interested in social evolution and complex systems. Artist/Author: Speight, Martin et al. 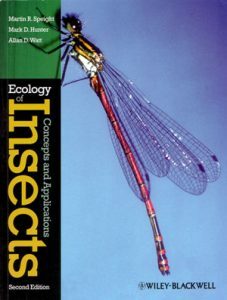 Provides a balanced treatment of the theory and practice of pure and applied insect ecology. Suitable for general readers, professionals, and students of varying levels, this work offers coverage of physiological, genetic, molecular, and ecosystem aspects of insect ecology, using reference to primary literature and real world examples.